This is the face of the new Egypt, the people seeking to overthrow a stable, if brutal, government and replace it with, well they don't know. Guess they got tired of being called "rag" heads! 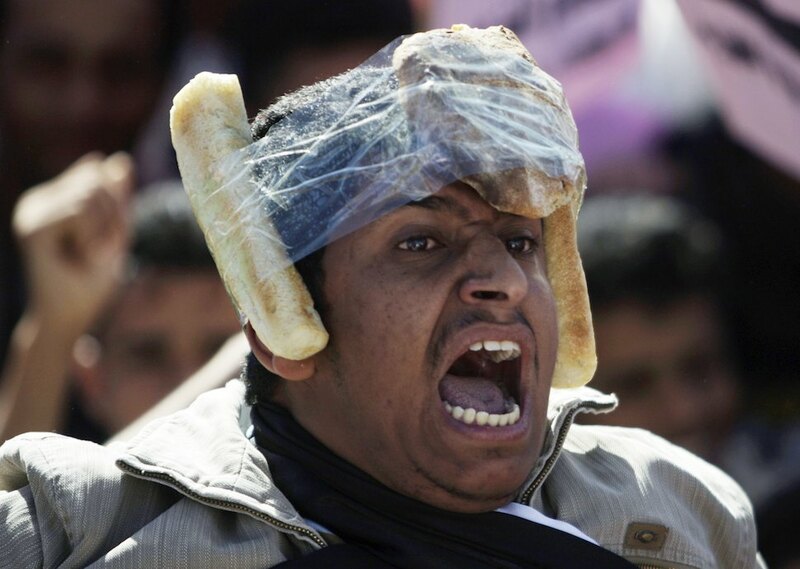 Is that...bread? Man they're getting desperate. I swear Mubarak should listen, but at the same time we shouldn't let the Muslim Brotherhood win over all of the supporters. ahhh yeah - if you'd actually paid any attention to what was going on there you could give people all sorts of names like 'buckethead' or even the humorous 'pothead' people were wearing what they had and could to protect themselves from projectiles. I'd like to see how well you'd fair if you actually cared enough about anything to actually show your face to represent it.